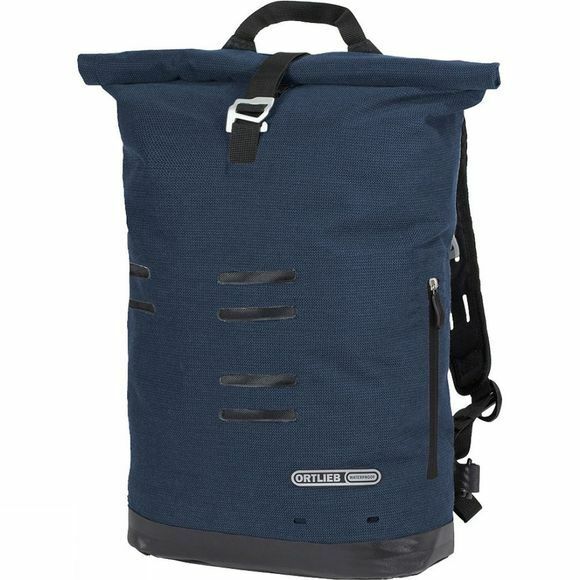 The Commuter Daypack is a backpack entirely designed for the requirements of urban bike commuters. A large main compartment offers sufficient room plus an additional padded sleeve for laptop or tablet. A quick access roll closure guarantees reliable protection from water. Further features are a zippered outer pocket (not waterproof! ), mounting loops for U-lock and rear light, and a reflective logo. The Commuter Daypack is at home around town with its classic, minimalist aesthetics. The external fabric, a PU laminated blend, combines the textile looks of cotton with the abrasion resistance of Cordura.